Gerrymandering concepts are perhaps the most important-yet-tedious aspect of political activism. The court cases are lengthy, complex, involve tons of math, and usually result in an impressive amount of double-speak in a desperate attempt to avoid charges of race-based redistricting. Racial gerrymandering is strictly illegal, as outlined by the Civil Rights Act and upheld by a series of Supreme Court decisions such as Shaw v. Reno, (1993), Miller v. Johnson (1995), and League of United Latin American Citizens v. Perry (2006), yet partisan redistricting has been held legal since the Davis v. Bandemer (1986) decision. 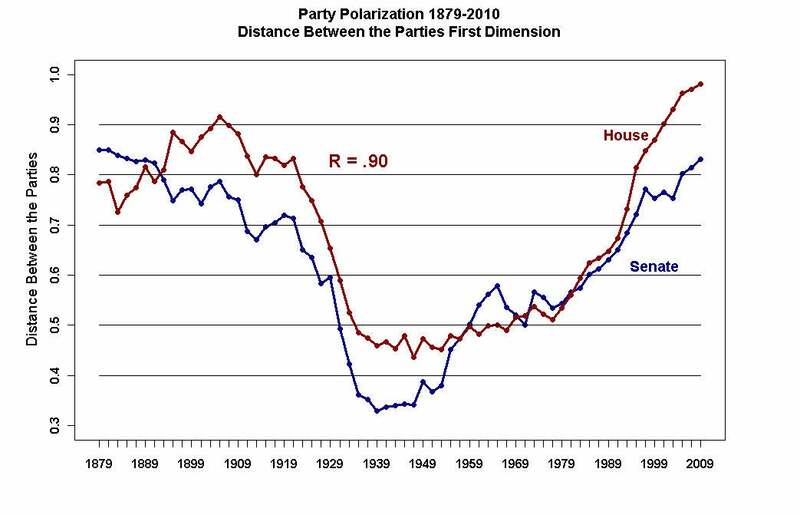 Under this decision, gerrymandering has progressed to a point where party division is at it’s worst… and it’s steadily progressing even further. In our GOP-dominated politics of 2017, it seems that the public are finally waking up to the damages caused by irresponsible redistricting. In 2010-11, Republicans used their massive post-Obama gains to redistrict wide regions of the United States in an unethical and sometimes illegal way. North Carolina was perhaps the worst offender and courts are remedying that situation, albeit quite slowly. In Virginia, the state legislature controls redistricting. Decisions made in 2011 by the GOP were a farce, and these decisions have a far-reaching effect beyond elections. Such gerrymandering affects the ability of gerrymandered candidates, who are usually racial or ethnic minorities, to make the jump from local to state-level candidacy; it creates an imbalance in our bicameral legislature; and it foments further radical partisanship, as seen with the radicalization of the right through figureheads like Corey Stewart. Virginia has only ever elected one African-American official for state-level office. Douglas Wilder served as Lt. Governor and Governor from 1985 to 1993 by making the successful jump from District 9’s State Senator. Wilder served as Senator for fourteen years uncontested which makes his ability to jump into contested statewide elections all the more impressive. Other than Wilder, minority candidates have been met with an utter lack of success but now for for a lack of trying. Black candidates are much more likely than white candidates to come from districts targeted by recent redistricting lawsuits (3/5 for African Americans, 3/25 for white). The Bethune-Hill v. Virginia State Bd. of Elections (2017) court case seems to have a clear and present effect on Virginia elections. A lack of minority candidates defines the three statewide offices (Justin Fairfax not withstanding), but election results suggest gerrymandering and uncontested elections play a significant role in the lack of success for African-American state-level candidate success. All three African-American members of the House of Delegates to run for statewide office (Baskerville, Jones, McEachin) came from districts eventually included in Bethune-Hill. Delegates and State Senators are much more likely to meet success in Attorney General (AG) elections, but minority AG candidates are uncommon (21 candidates, two were African American & two women) and unsuccessful (excepting Mary Sue Terry, 1985 & 1989). Gerrymandering creates a tough road for candidates — and especially African-American candidates — As of this writing, it seems that African Americans are much more likely to see statewide election success coming from a background outside of the Virginia legislature, such as with the close primary loss of Justin Fairfax or the surprise candidacy of Earl Walker Jackson. Returning to Virginia, the state House of Delegates is one of the worst efficiency gap offenders in the nation. Virginia blew past this 8% threshold in the late-2000s and continues to get worse. In the 1970s, 1980s, and 1990s, Virginia’s House of Delegates was firmly within an acceptable efficiency gap range. By the 2000s, the gap slipped toward the threshold in favor of Republicans, sitting at about 6%, before doubling to about 12% in 2012. Only Wyoming was clearly worse then Virginia in their efficiency gap bias and Wisconsin, Oklahoma, Rhode Island, and Florida were all roughly equal. I just calculated the data for Virginia based on the most recent state elections in 2015. Things have only gotten worse. The efficiency gap in the 2015 House of Delegates election was 15.3%, nearly double the proposed threshold. This is even worse than was seen in Wisconsin, the state serving as a test case in the ongoing Gill v. Whitford, and there is a serious case to be made in Virginia in the same . As for future research, the next steps are to (1) investigating nearby states with significant gerrymandering issues, (2) investigating Virginia elections in more qualitative detail, especially those in gerrymandered districts (Baskerville, Jones, McEachin), and/or (3) identifying districts that were historically gerrymandered (from 1991-2001 and/or 2001-2011) even if not challenged in court. As for the efficiency gap, Virginians could and should continue to challenge the House redistricting. It may be too late to see serious redistricting before the next round in 2021, but a legal challenge could set new state-level guidelines and boundaries on whatever party controls that planning. One Virginia 2021 is mounting that campaign as well as a number of lawsuits that look promising no matter your party affiliation. As for me, I’ll just keep yelling into the abyss.